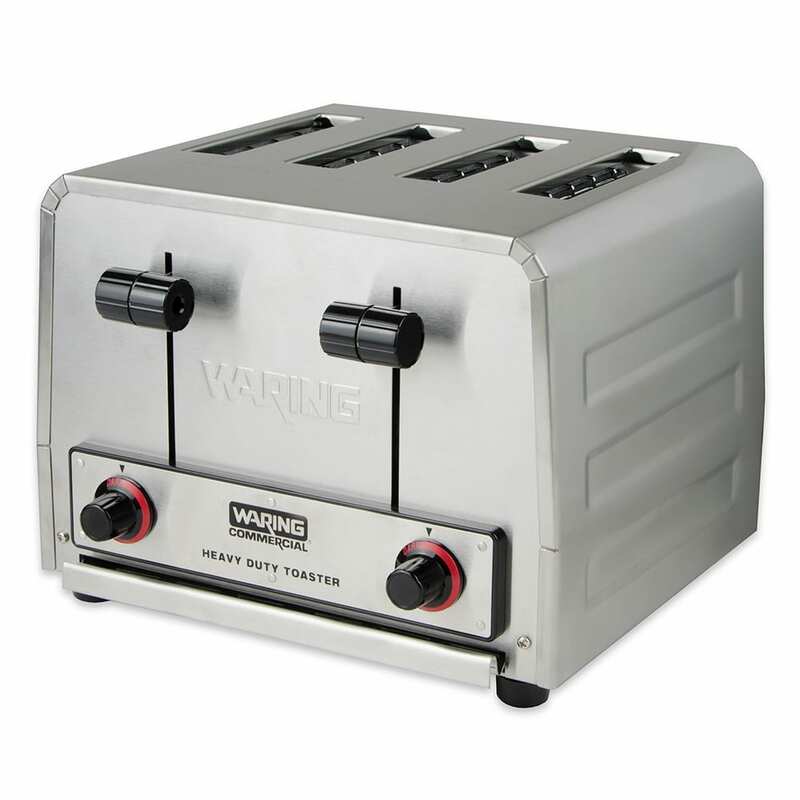 To reduce the visibility of scratches and fingerprints, the Waring WCT800RC slot toaster has a brushed stainless steel finish, and short legs keep the unit in place on a countertop without skidding. In an hour, the unit can produce 300 slices of toast, and each slot measures 1.125 inches wide to accommodate a slice of bread, bagel, waffle, or thick Texas toast. Each pair of slots has their own controls, which cuts down on unnecessary energy consumption. 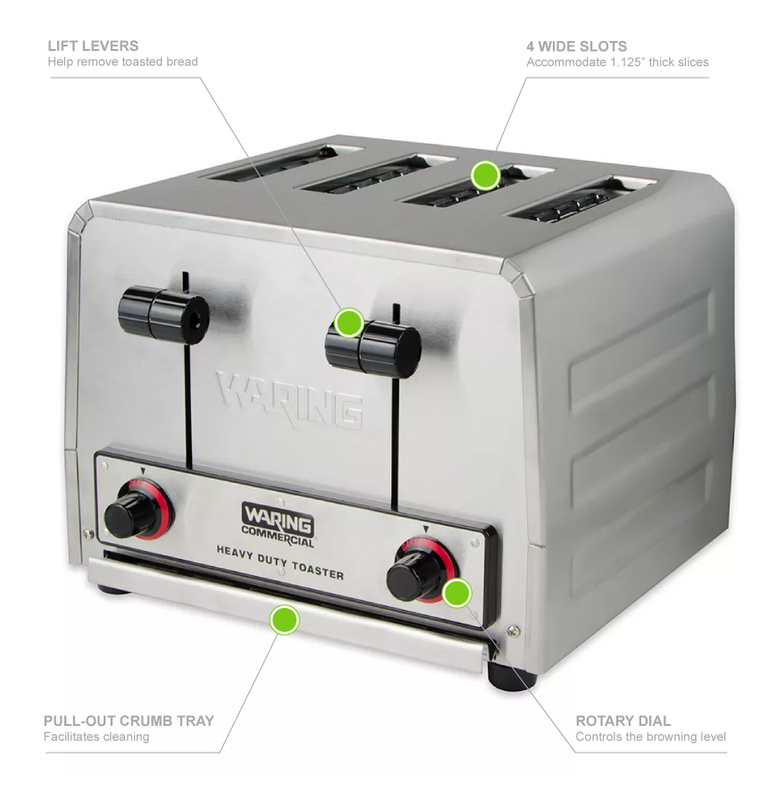 Since the Waring WCT800RC toaster has a slim design, it can fit on a countertop for comfortable operation. The unit's manual controls, such as the browning knobs and lift levers, are effortless to use. To lower food into the slot, users can press the lever down and set the browning level; product will automatically pop up when toasted. Food debris is caught in the crumb tray, which is removable and dishwasher safe. Whenever the heating plates wear out, they can be removed and replaced. Can toast 300 slices per hr. You can find out more about slot toasters in the slot versus conveyor toaster buyers' guide. "product seems adequate for the need"